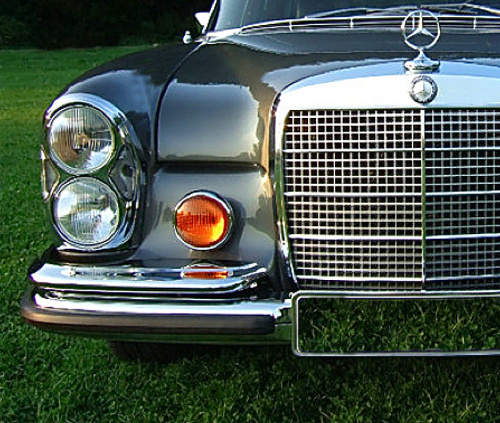 The initiative to build one of the most exciting executive sedans of the 1960s did not come from Daimler-Benz, it came from a German automotive magazine (auto motor und sport), whose editor Hans-Ulrich Wieselmann lamented that Mercedes-Benz was building great, but not very exciting cars suited for executives, farmers and retirees. 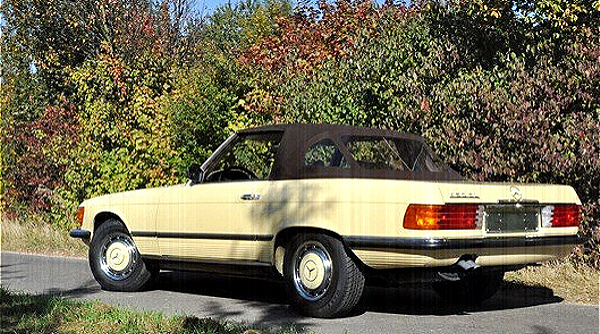 Although the sales department did initially not believe in a commercial success (they claimed that not more than 50 could eventually be sold), the 300 SEL 6.3 filled the niche it had created, most successfully. It was not as big as the 600 and it was not as slow as the 300 SEL either. Driving the 6.3 meant to enter a different, most exciting world and it was no wonder that magazines such as Road&Track saw in it simply the best car in the world. With 250 hp at 4,000 rpm, a compression ratio of 1:9.0 and a maximum torque of 51 mkp (368.9 ft-lbs) at just 2,800 rpm, the engine offered plenty of grunt to be content with. Average fuel consumption was quoted to be around 21 l/100km (11.2 mpg), but most journalists easily managed to bring that figure to some 30 l/100km (7.8 mpg). Despite its dry weight of 1,830 kg (4,000 lbs), it could accelerate in 7.4 seconds from 0-100 km/h (faster than a Porsche 911S and a Ferrari 330GTC) and it achieved a top speed of 121 km/h (137 m/h). 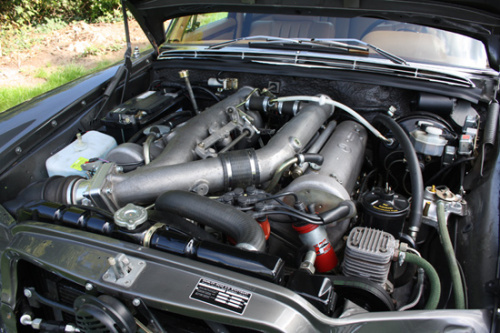 The powerful engine offered tremendous agility, a surprisingly smooth operation over a wide rev band. And if your wallet was up to it, the car would not mind to cruise at high speeds for hours. The 6.3 was a marvel, but it was not only the engine that thrilled its drivers. 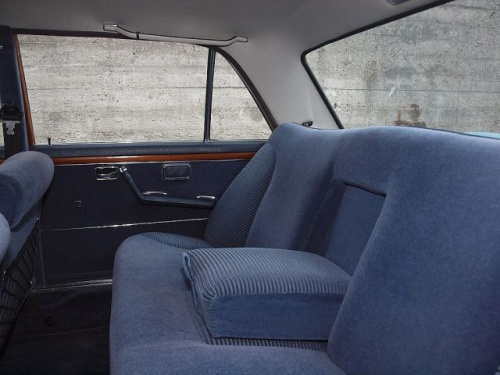 For a Mercedes, it was also fairly lavishly appointed. 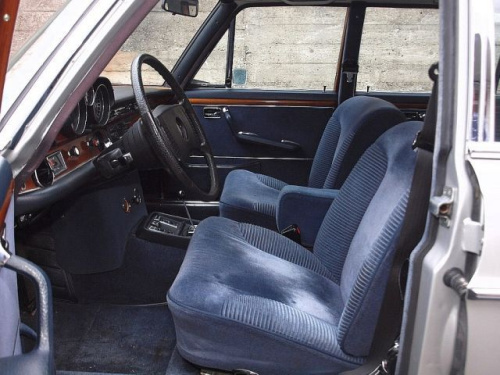 It offered power windows, vacuum-controlled central locks, a rev counter and velours upholstery. Leather seats were optional. 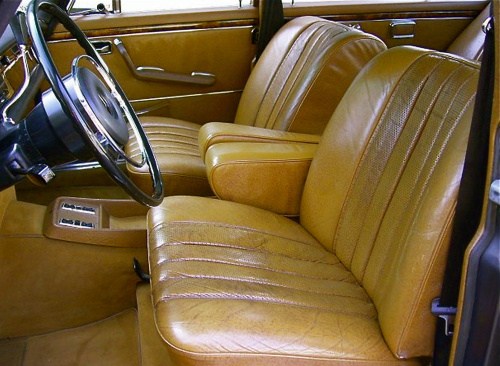 The wood on the dashboard and window surrounds was now burr walnut and other wood veneer options such as macassar ebony could be ordered. It had a limited slip differential and at the front US-style headlights with halogen bulbs. 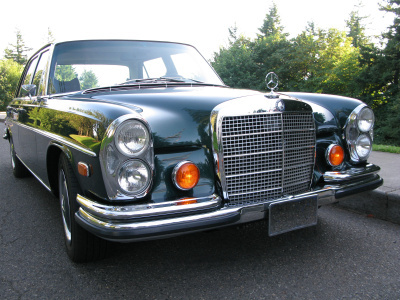 These headlights quickly became synonymous with the 6.3, as they offered plenty of prestige on a German autobahn. 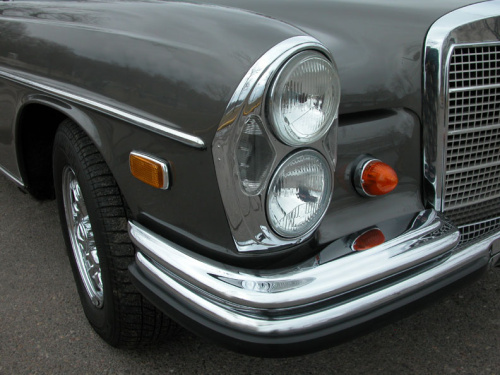 Much to the dismay of many 6.3 owners, Daimler-Benz offered the same headlights later on as an option also on the lesser (slower) S-class models. So that “autobahn-prestige” quickly vanished. 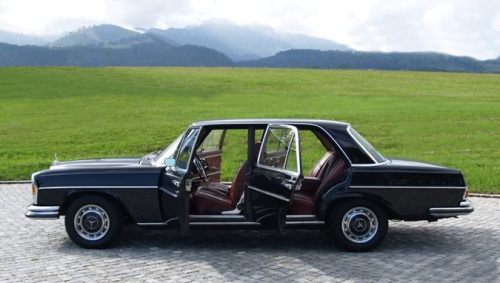 In Germany the Mercedes 300 SEL 6.3 was offered at 39,160 DM ($9,790.- at contemporary exchange rate), which was definitely not cheap. While the car cost $15,120.- in the US, it was even more expensive in the UK. It cost almost 7,700.- GBP ($18,500.- ), once the taxes had been factored in. But compared to a Maserati Quattroporte or even a Bentley T, that price looked reasonable again, even when options such as leather, air-conditioning and sunroof had been added. The Jaguar XJ 12 was no competitor, as it was only introduced in 1972. 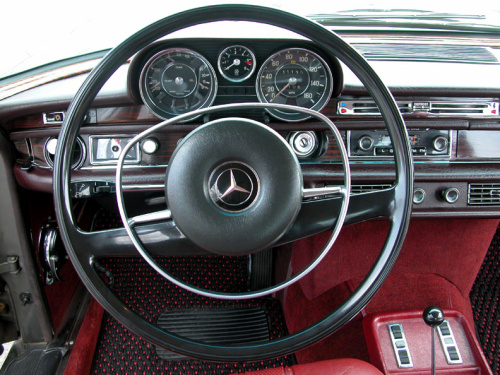 In 1971 the Mercedes 300 SEL 6.3 was replaced in North America first with the 3.5 l and one year later the 4.5 l. In Europe and the rest of the world it was sold till 1972. Despite initial fears from the sales department, the 6.3 proved to be remarkably successful, as 6,526 cars found a buyer. 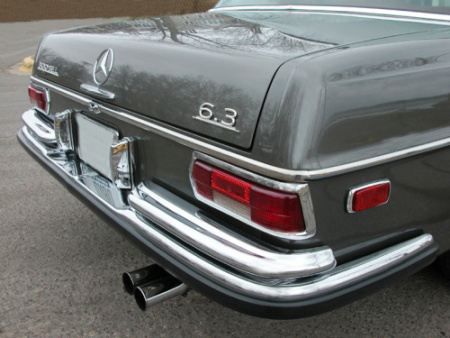 If you want to read much more about the Mercedes 300 SEL 6.3 and other Mercedes models of the 1960s, all of that is covered in my books and e-books and can be ordered from my website. 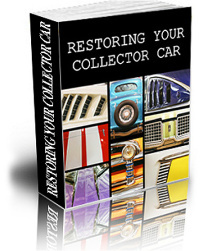 They offer next to the cars’ history the experience to own or drive one of these great vehicles. Also plenty of color pictures, most of which have never been published in a book before, are included. I am sure you will enjoy.